We’ve noted many successful open source projects and products before on this blog, and the Web is arguably the biggest one of them all. Two such products we’ve failed to recognize, however, are the very first web browser and server, simply called World Wide Web, developed by Tim Berners-Lee. 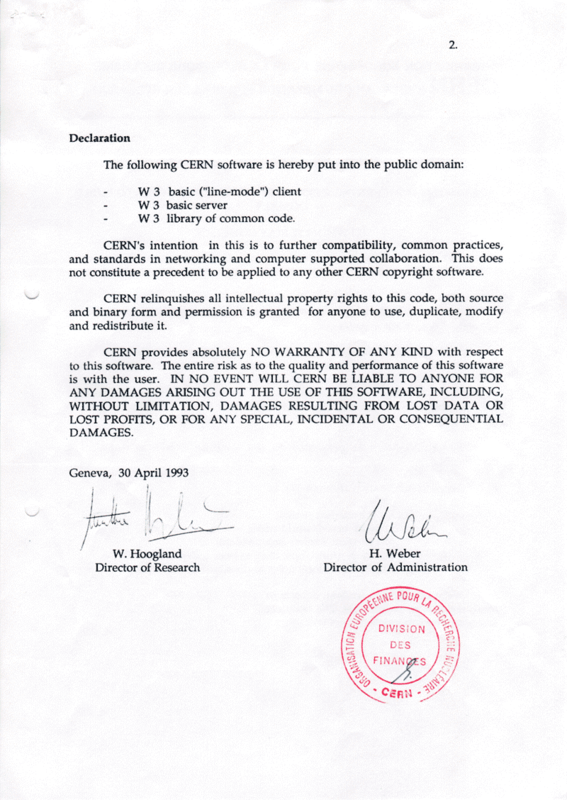 Today is especially important in the history of the web since on April 30, 1993, CERN, the European Organization for Nuclear Research, released World Wide Web into the public domain. Just four years before open sourcing W3, Tim Berners-Lee had written a proposal for World Wide Web, which by 1991 had turned into a product that was spreading around the world. We should be thankful that Berners-Lee’s boss noted on the proposal “vague, but exciting,” because it allowed him to continue with the work. With browsers being widely available for free today, it’s interesting to note that the early versions of W3 were not free. 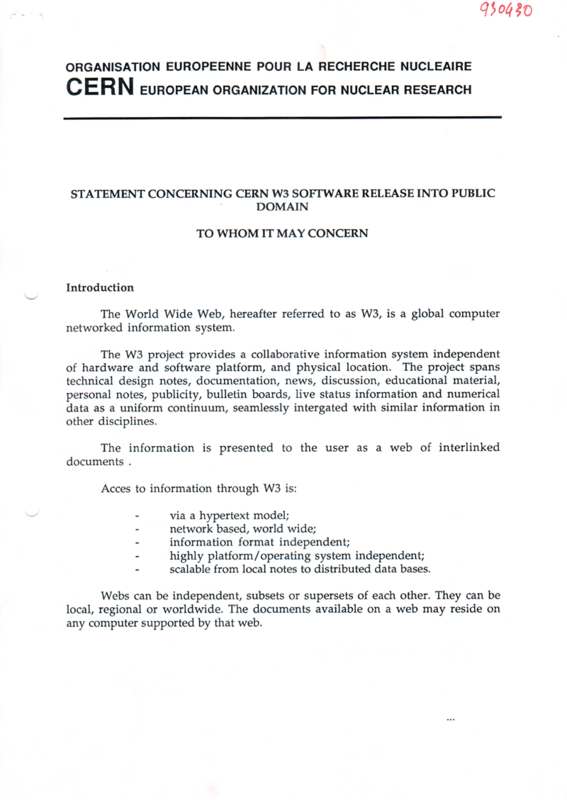 The World Wide Web browser was available for NeXT workstations and Apple Macintosh computers for 50 Euros per computer. Source code could be purchased for 50 Euros per site. If you want to lay your hands on this important piece of history, it’s still available at evolt.org. Worth noting is that since it was an application for NeXTSTEP, it does still appear as an application in today’s Mac OS X, although it can’t be executed. But if you right-click on the icon, and select Show Package Contents, you can explore the original web software. The original W3 may not be of much practical use today, but it’s a piece of tech history of immeasurable importance. @Chutzpah84 pffft. IRC and newsgroups innit. @Chutzpah84 I certainly knew Usenet people who’d been there for 5 years when I started using it 15 years ago. RT @MacLifer CERN open sourced World Wide Web today in 1993 http://t.co/nsXgCaUS – Happy 19th anniversary! @jstuker dreiundneunzig plus siebzehn … ? @pingdom That’s because open source rocks!